"They took my right to vote away." I live in Bullitt County, Kentucky. I struggled with addiction, got a drug charge, and now am one of 250,000 Kentuckians who can no longer vote. I wish I could vote because I want to elect people who understand that addiction is a disease, not a crime. I want to make sure there are rehab programs available for families that need them, like mine. Too many lives depend on it. If you can vote, I hope you promise to do so - on my behalf and in memory of my son Tony. 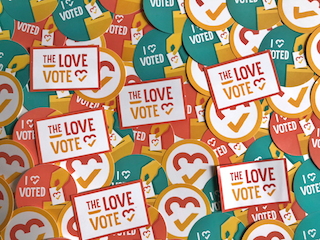 Show Stacy love + inspire others + get voting info + get event invites + get stickers + create change! Can't Vote? Become a Mover!